In 2018, the mooring line industry is not yet fully aware of the potential of aramid-based mooring line solutions – there are several common misconceptions about aramid technology. To bust these myths, Teijin Aramid has gone on the offensive, launching a dedicated information campaign and setting up a full field trial with its partner TEHO Ropes. As part of this trial, three cargo vessels have been equipped with aramid-based mooring lines. The results of this initiative, as well as Teijin’s long-standing knowledge and expertise, have been the focus of the “There’s moor with Teijin Aramid!” campaign. For over twenty years, Teijin Aramid has led the development of aramid technology for high-performance mooring line solutions. Through their unique physical and chemical properties, Teijin Aramid’s materials – including Twaron® and Technora® – can offer the mooring line industry significant improvements in the right areas. Specifically, by delivering improved heat resistance and durability, as well as increased strength at a lower weight, aramid-based mooring line solutions offer improved operational performance, durability and safety, and are also more environmentally friendly than alternative solutions. In this way, mooring line solutions that incorporate aramid are ideal for meeting the tough challenges facing today’s mooring line industry. Despite the operational and environmental advantages of aramid-based mooring lines, some companies involved in the mooring line industry have been reluctant to adopt this technology, in part because of several high-profile misconceptions. 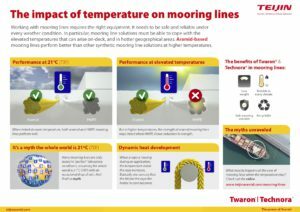 To tackle these myths, Teijin Aramid has launched a dedicated information campaign with the aim of showcasing the true performance of aramid-based mooring lines in tough conditions. One of the myths that the campaign is tackling is that high temperatures do not affect current synthetic mooring line solutions. 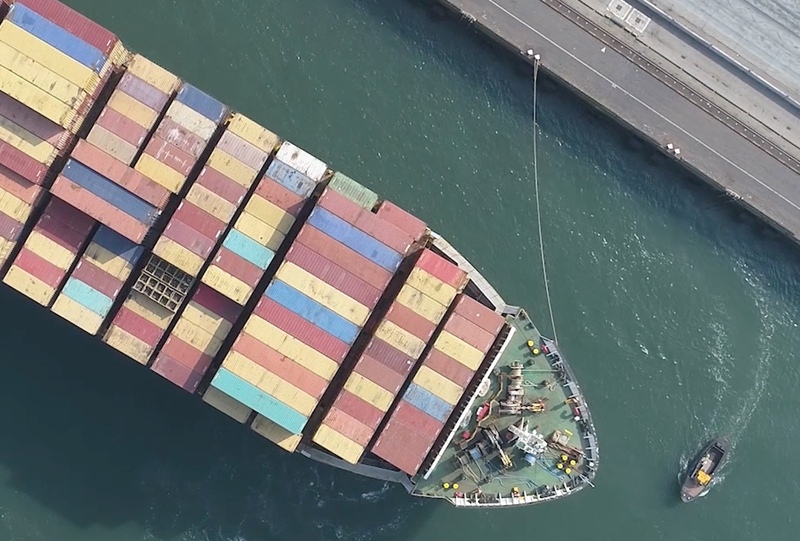 As the campaign video below shows, operational temperatures are often higher than you might expect, and can put operators of HMPE mooring lines in danger. At elevated temperatures, aramid-based mooring lines perform better than traditional mooring line solutions. 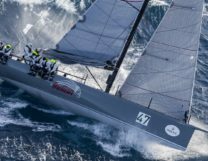 Since 2015, Teijin Aramid has been collaborating with TEHO Ropes, a company trading in mooring line and rope solutions, to develop exciting new products that meet real end-user needs. The combination of Teijin Aramid’s technical know-how and TEHO Ropes’ knowledge of the mooring line industry has driven the relevant development of this technology. TEHO Ropes has also partnered Teijin Aramid in the creation of the “There’s moor with Teijin Aramid!” campaign, with the aim of busting myths surrounding this technology. During this time, three cargo vessels have been equipped with aramid-based mooring lines, and have operated as normal between Australia and China. 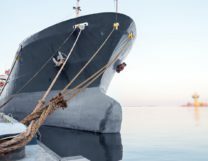 With the maritime mooring line industry facing ever-greater challenges, such as a growing number of mechanical failures that drive downtime and put mooring line operators at risk, it seems likely that aramid-based mooring line solutions will become increasingly established as a go-to solution in the market. To further futureproof the concept of aramid-based mooring line solutions, and drive its sustainability value, Teijin Aramid is actively exploring the creation of a fully circular recycling program for aramid-based mooring line solutions that have reached the end of their service life. In this way, the ecological footprint of the mooring line industry can be further reduced, and Teijin Aramid will help ensure a dynamic future for aramid-based mooring line solutions!